There is a rather interesting tale behind the Peace Silver dollars. The most important concept behind the making of the Peace Silver Dollars was to produce a symbol of peacefulness and a reminder that the world war ended. USA had just won the World War I, nevertheless was in serious demand of peace of mind and the development of this silver dollar just tried to stand for that. A large amount of North American lives were gone and the long years the war lasted made a significant damage in the nation’s spirits. Across the United States, anything that had something to do with peace of mind and tranquility was an instantaneously success and the Peace Silver Dollar was the same. The year of 1904 represents the making of the final Morgan Dollar. Up to 1921 there wasn’t the manufacturing of a single silver dollar. In fact, there was no interest for brand new silver coins to be minted because the volume circulating was more than enough to match the demand that persisted at that time. Even though this public aspiration to rejoice the new found peacefulness after the conclusion of the war in 1918, it was merely after the approving of a law known as Pittman Act that the coins were able to be made. 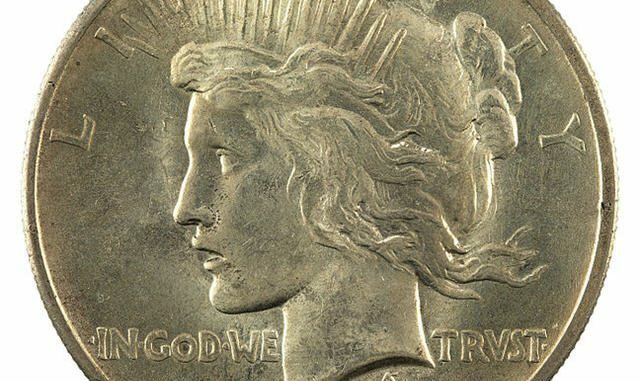 A lot of people in America think it’s interesting that the Peace silver dollar, celebrating the end of World War I, was not announced until about three years after the Armistice of November 1918, which finished hostilities, and two and a half years after the signing of the Versailles Treaty in June 1919. The main reason was basically that an isolationist faction in the United States Senate, driven by Massachusetts Republican Henry Cabot Lodge, impeded the ratification of the Versailles Treaty later in 1919, chiefly over the provision that our great Country might go into the recent League of Nations, the invention of President Woodrow Wilson. Wilson turned down to give up about the issue, guessing that one additional war could follow in just two decades if all key nations didn’t commit to a major international peace-keeping body. The matter stayed in limbo until after the election of President Warren G. Harding, when our elected representatives approved the Knox-Porter Resolution in June of 1921, appropriately a different peace treaty concerning the United States and also the defeated Central Powers. The Morgan silver dollar had been used over the necessary twenty five years mandatory by law, consequently there were no needed legislation essential to substitute the coin with a brand new style. Whilst people feeling had been a solid motivating factor in order to obtain the peace silver dollars, it was not really the only real cause these were produced. In 1918, a distinctive legislation, referred to as the Pittman Act was created. Briefly, legislation obliged the federal government to melt at least 350 million silver dollars. Then, it needed to be transformed into bullion and marketed or utilized to product additional silver coinage. 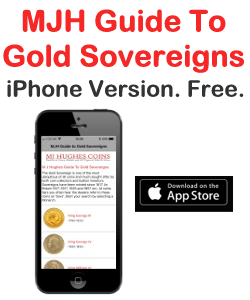 Legislation was aimed toward assisting the silver exploration markets above all else. The US Mint managed to melt 270 million silver dollars. Some of these were purchased from bullion form to the British government which needed the actual finances to help them to get through a crisis taking effect in India. The known Pittman Act called for 350,000,000 current Morgan Dollars to be melted for bullion and then for Congress to invest in the same magnitude of silver from US mines on a fixed cost of one an ounce. This silver was to be utilized to produce a similar number of completely new silver dollars, and the resulting 23 cent variance for each buck being regarded as a subsidy for the country’s silver suppliers. In order to commemorate the belated circumstance, a commemorative USA Peace silver dollar was planned and speedily approved by our lawmakers. Despite the fact that George T. Morgan (creator of the Morgan silver dollar) carried on as the USA Mint’s Chief Engraver, a style and design competition was opened to everyone. The artists of the Lincoln cent, Walking Liberty half dollar and Standing Liberty quarter most developed Peace dollar designs, even so the champion proved to be an Italian immigrant called Anthony di Francisci, a sculptor and medalist that had earlier created the US “Maine Centennial” half buck of 1920. The model for the Liberty image turned out to be his wife Teresa. The high spires of Liberty’s overhead to some extent resemble those on the Statue of Liberty, which in turn had seriously moved the pair as soon as they entered New York Harbor upon an immigrant ship. The symbolic spires are echoed over the reverse facet as the powerful rays of a new daybreak behind the vigilant peacekeeping American Eagle, together with “PEACE” written in the mountain rock below. It appeared to be the one coin to have that theme. With the initial design and style, the Eagle stood over a broken or cracked sword to signify the conclusion of conflict (“the war to end all wars”, as Wilson had named it). However questions arose that the smashed blade might possibly convey weakness, so Morgan replaced a peace branch in its place. This layout was unambiguously diverse from previous layouts in a couple of notable ways. 1st, his depiction of LIBERTY faced left instead of right as she did in the Morgan Dollar and Barber coins of the era, and she wears a crown of rays all around her head. His Eagle is at rest with wings flattened on the reverse, rather than in flight or with wings unfolded as in previous coin designs. The Eagle stands on a mound having the word PEACE in it, along with rays stretching out from the mound. Probably the most distinct distinction was the relief of the coin. Being a designer of medals DeFrancisci used the high relief style and design that a medal would probably have, something not yet used on a Us coin design and style. When the Peace model was completely ready, manufacturing of Morgans ended up being halted and about 1 million 1921 Peace Dollars were struck on the Philadelphia mint. This has been the only calendar year that this silver coin has not been built at least in one of the alternative two branch United States mints, helping to make this specific 1921 silver dollar the only design not to display a mint mark. In subsequent years the mint mark would appear on the reverse under the Eagle’s tail feathers. The silver coins ended up being highly elaborate mainly because of the high relief, but this also made them tricky to stack and the design was modified to low relief in 1922 and from that point on the coins had a typical low relief. In 1928, the silver coin ended in production because the requirement was reached, and with the commencing of the Depression, the silver coins weren’t needed. starting in 1934, the silver coin was built for a couple of additional years. The United States always had and will always have an essential part in the world, being the principal keeper of world Peace. American ideals and beliefs of worthiness, independence and prosperity are all mirrored in the Peace Silver Dollar’s beautiful art deco design and style, even though it is just a collection item. The mix of its very low production, distinct high relief design and style and 1st year of release causes the 1921 Peace Dollar an extremely collectible and rather sought after coin. By 1928, the American Mint had produced a sufficient amount of silver dollars (Morgan and Peace together) to satisfy the conditions of the Pittman Act. The Peace Dollar came back briefly in 1934 and 1935, as the govt desired additional backing for Silver Certificates. The Peace Dollar is the last dollar coin to truly include silver that was produced for circulation in the US. Visit Silver Dollar Coins, to check if you have a small treasure in your grandfather’s wallet. 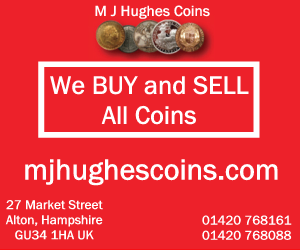 Additional information can be found in Silver coins. BU 1923 Peace Dollar. Nice silver coin!